I love recipes! Old favorites, Pinterest finds, recipes from my favorite blog or shared recipes – I can’t get enough of them. 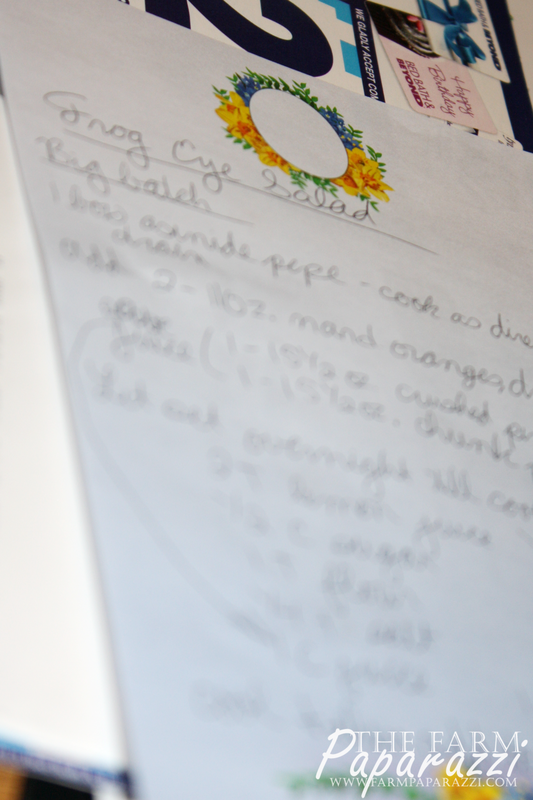 As I’ve gotten older I realize I do love hand-written recipes and wish I’d kept more of the “originals” to my recipe collection. However, I came up in a era of computers, e-mails and social media, so when I started collecting recipes, I typed them on a Word document. 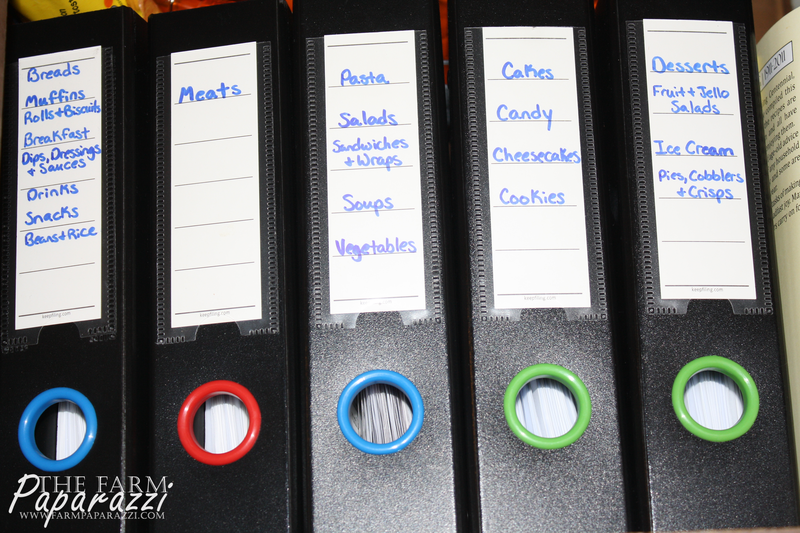 Although slightly impersonal, I do love this method because it keeps everything organized and searchable. Need to use up a can of mandarin oranges? 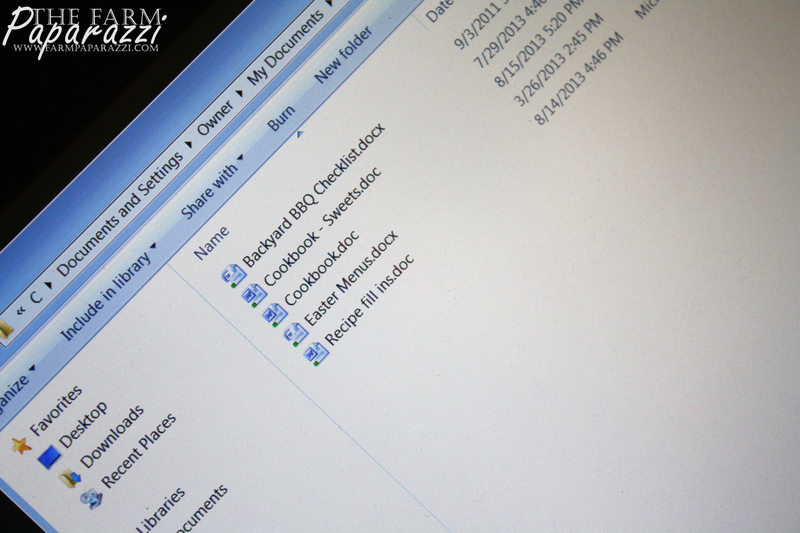 I just searched for them in the document and up popped several recipes. 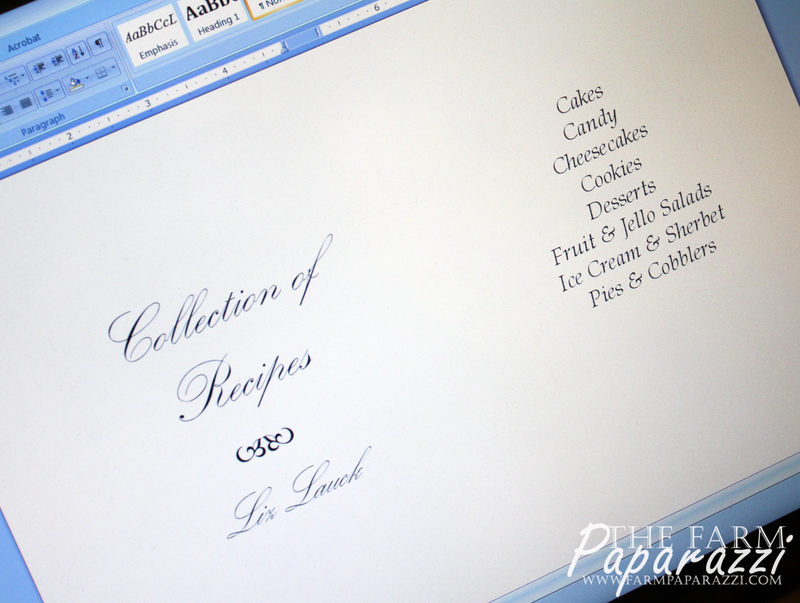 Recipes are meant to be shared and this method makes recipes easy to share by printing or e-mailing. This is how I organize my recipes. 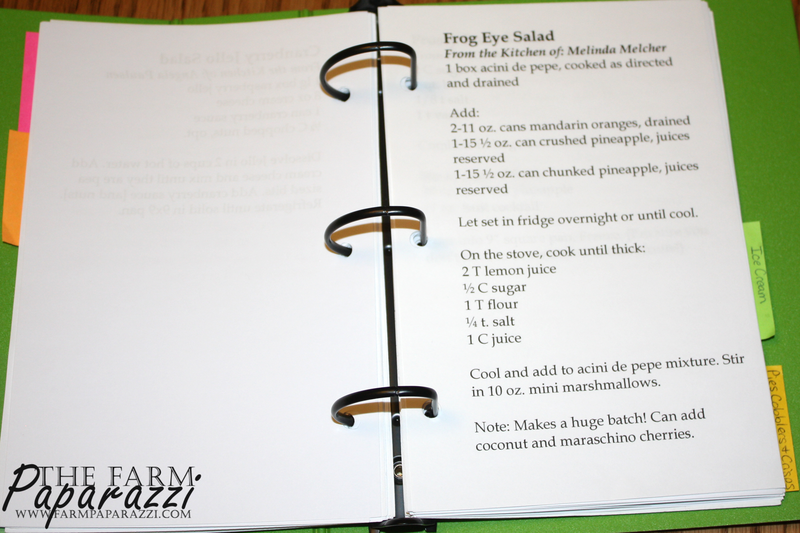 Let’s use Frog Eye Salad as an example. 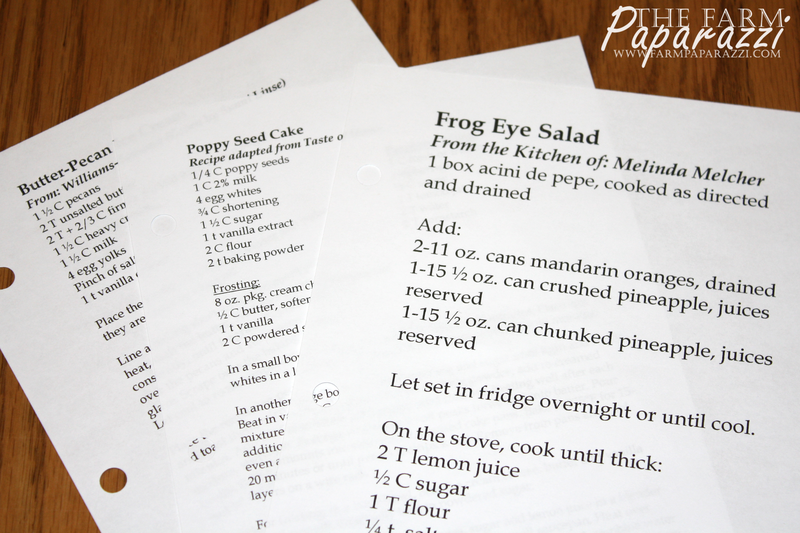 Believe it or not, I have never made Frog Eye Salad, although I’ve eaten more than my share. 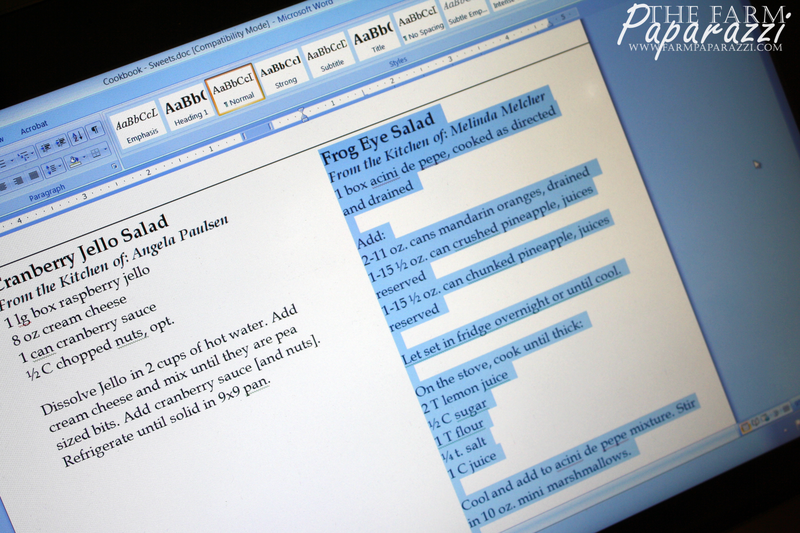 So, while at a seed meeting last month, in between bites of her Frog Eye Salad, I asked my friend Melinda if she’d please share her recipe with me. She pulled a recipe card out of her binder and let me copy it before we went out in the garden to pick beans and cucumbers. An hour and a huge sack of veggies later, I headed home. I copied the document into my word file (I have two – one is just for sweets). I placed it under the proper category. 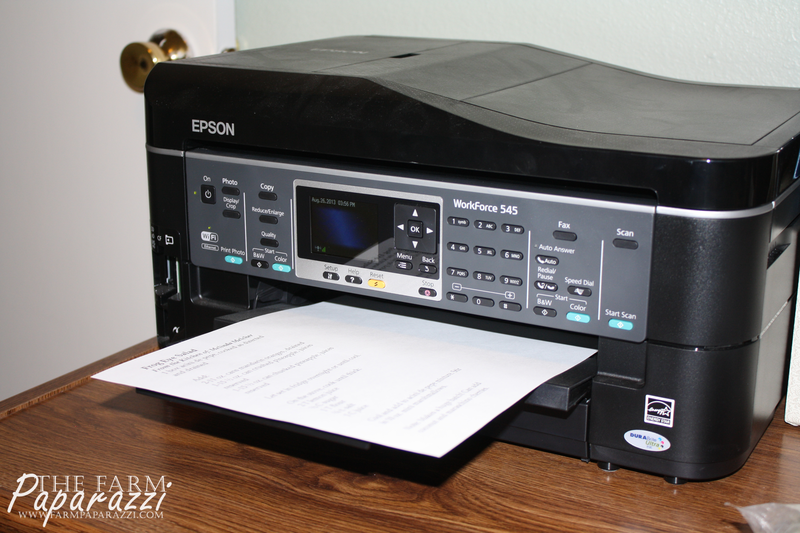 Then I print it, hole punch it and put the hard copy in my binders. I found these 1/2 page binders at www.keepfiling.com. I’ve been really pleased with the quality of their products. 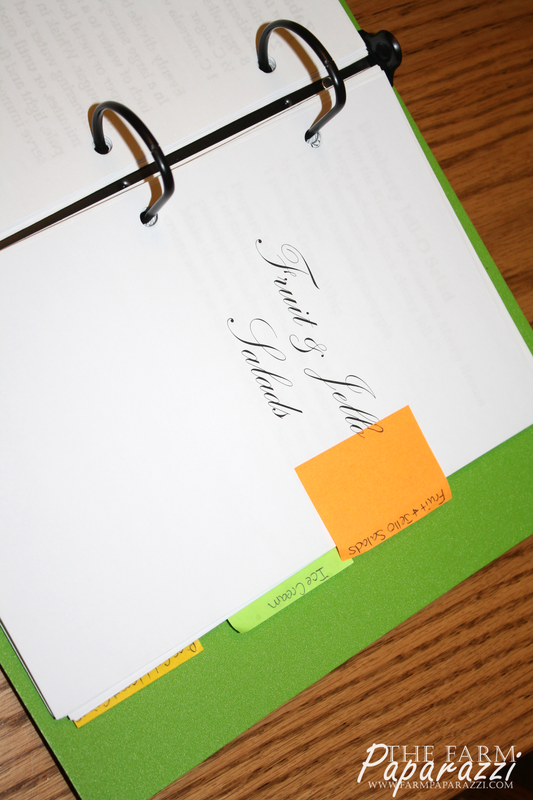 I also use sticky notes to put tabs on each section so they are easy to locate. 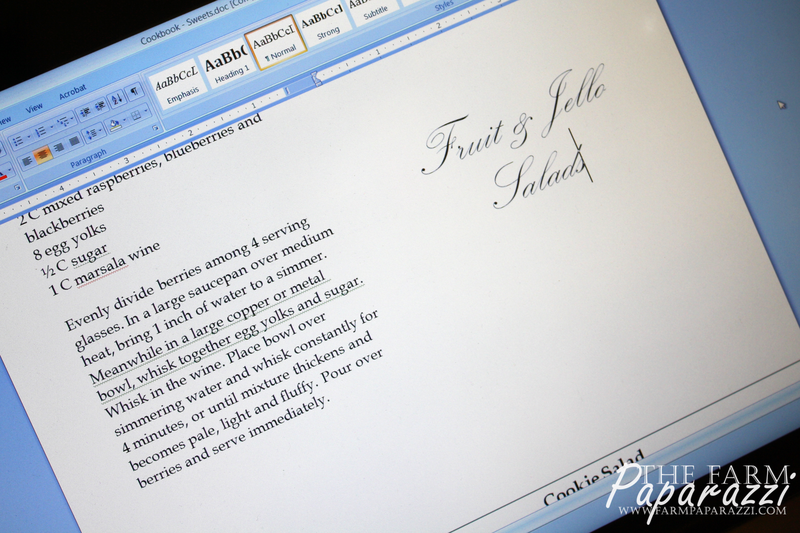 I like to write notes and the adjustments I make on the recipes, so I don’t laminate them or put them in page protectors. However, that would be a good idea to keep your recipe sheets clean! Mine eventually get wet and stained. But I think it just adds more character. Do you have tips for organizing your recipes? I’d love to hear them! ← Silks and Tassles and Ears, Oh My!